Eliminating the challenges accompanying a water damage Lewisville job is what Zach Goldman and his teams of professionals with 911 Restoration Fort Worth are trained and ready for every day. Taking care of Lewisville homes requires a fast response time and expertise that can only be achieved through innumerable hours of work in the field. That’s why Zach and his teams are the best option that Lewisville residents have for water damage restoration. “We will respond within 45 minutes and we are available 24/7/365 to save homes and businesses from any emergency water damage situation that befalls them,” Zach says. Don’t let a water damage event linger in your home or the damage will only get worse. 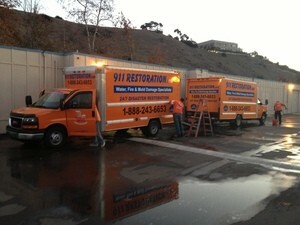 Call Zach and his staff with 911 Restoration Fort Worth for all the relief you need! Zach and the water damage Lewisville professionals that he works with are such experts at water damage restoration, and they care so much about the community, that they want to give people all the help they need to prevent a water damage scenario from unfolding in the first place. When this happens, overflows in the gutters can inundate the layers contained in the roof protection which allows them to start swelling, spreading, and separating, which can then introduce water damage to the interior of the home. “Another way that homes and businesses can prevent water damage from occurring is to make sure that someone inspects the hoses and connectors on water-hooked up appliances such as refrigerators and dishwashers,” Zach explains. Doing this will help to catch any small problems before they become larger such as a hose rupture which can send water all over the room with the appliance causing massive water damage in the process. 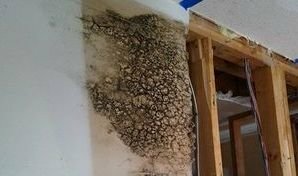 Don’t give any source of water damage a chance to ruin your lovely home. Contact Zach with 911 Restoration Fort Worth today! When Zach and his teams take on a water damage Lewisville job, they also take on the responsibility of making sure that the homeowner is well taken care of too. Zach and his staff care so much about the people and the homes of the Lewisville area that they will even go the Extra Mile to fill out the insurance paperwork for people during their time of need. “We just don’t think that a person in a situation like this should have to deal with talking things through with their insurance agents at the same time,” Zach explains. This kind of customer service and attention is what puts Zach and his crews at the cutting-edge of the industry both for their skills and their ability to give people back their peace of mind too. Don’t let a water damage scenario take over your home. Contact Zach and the water damage Lewisville teams with 911 Restoration Fort Worth today and let them deal with all the challenges for you in no time at all!